Since the beginning of time, murals have told stories of the world’s history and its people from cave drawings by ancient cultures to ornate paintings in the world’s most iconic destination, and the small spaces in between. The unique towns of Rutherford County, NC boast a series of murals that speak to our history, our beauty, and our love of the arts. Some are so admired, they are now featured on the Appalachian Mural Trail. Here is a recap of our murals stops. We’ve included some local art stops along the way as an extra treat. 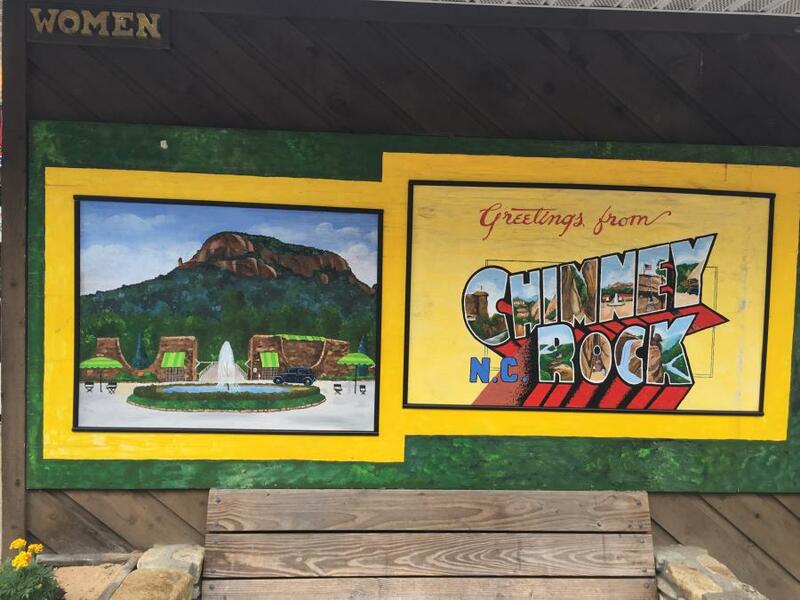 Take a self-guided tour through our small towns of Chimney Rock, Lake Lure, Rutherfordton, Spindale and Forest City to see our collection, or download our Small Towns Art Mural Driving Tour for easy to follow turn-by-turn directions. The driving tour even includes a few vintage ghost murals from years past. This collection of vintage postcard murals painted outside of the public restrooms and along the nearby wall give visitors a throwback glimpse of Chimney Rock Village. 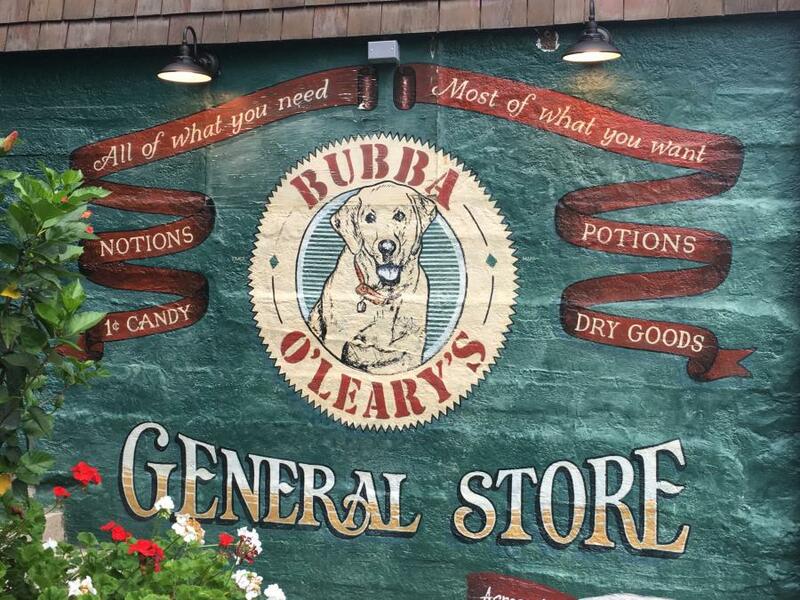 Celebrating 20 years of business in 2017, this Bubba O’Leary’s General Store mural is located directly across the street from this staple, family-owned shop in Chimney Rock Village. On your way up to this iconic attraction, make a pit stop in the bathrooms at the Meadows just passed the ticketing plaza. 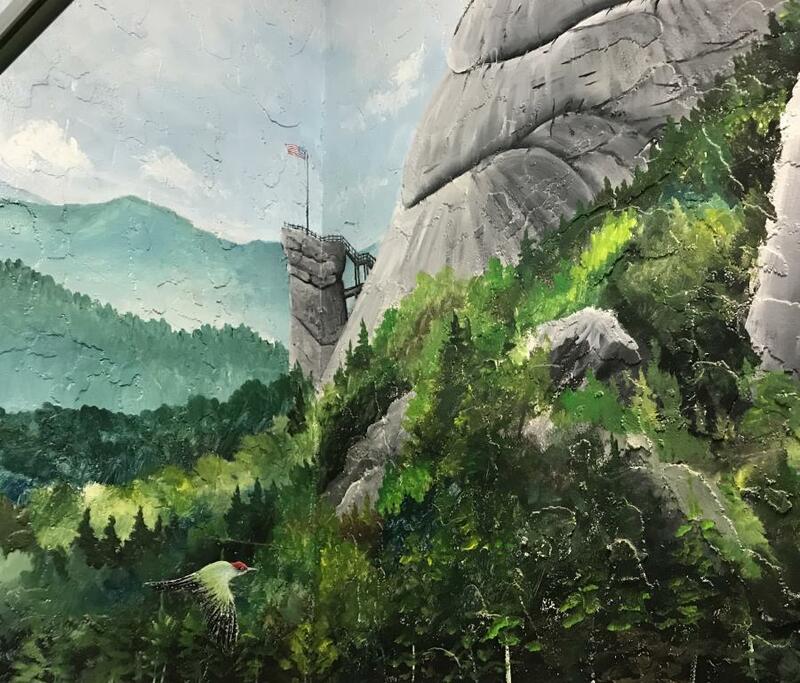 Inside you’ll find scenic murals of the nature and wildlife in and around Chimney Rock State Park. Lake Lure Flowering Bridge replica mural by Artists Veryle Lynn Cox and Amy Wald. Less than a mile east of Chimney Rock Village is the Lake Lure Flowering Bridge. 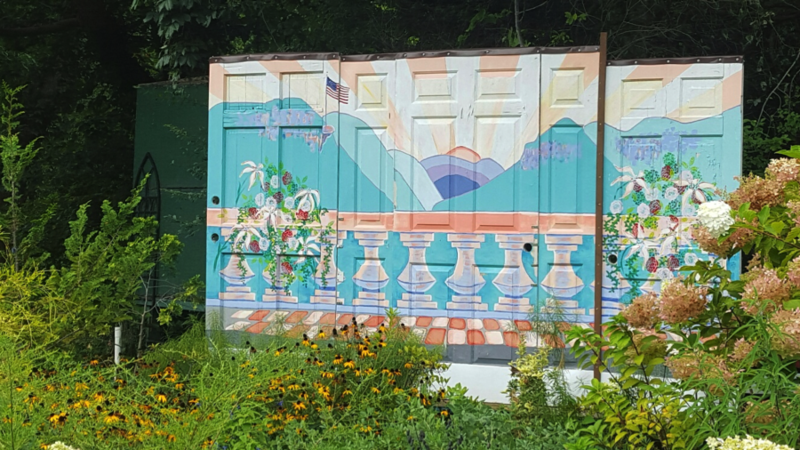 Boasting more than 1,000 types of plants and flowers, you can also find this gorgeous sunset mural painted on old doors. Visitors from all 50 states and more than 30 countries have walked this picturesque bridge. Continue your drive east into Rutherfordton, named “small town of the year” in 2016 by the N.C. Rural Center. Here, you can park the car downtown and explore our county’s largest collection of murals conveniently by foot. Rutherfordton, NC mural by Artist Blake Ferguson. 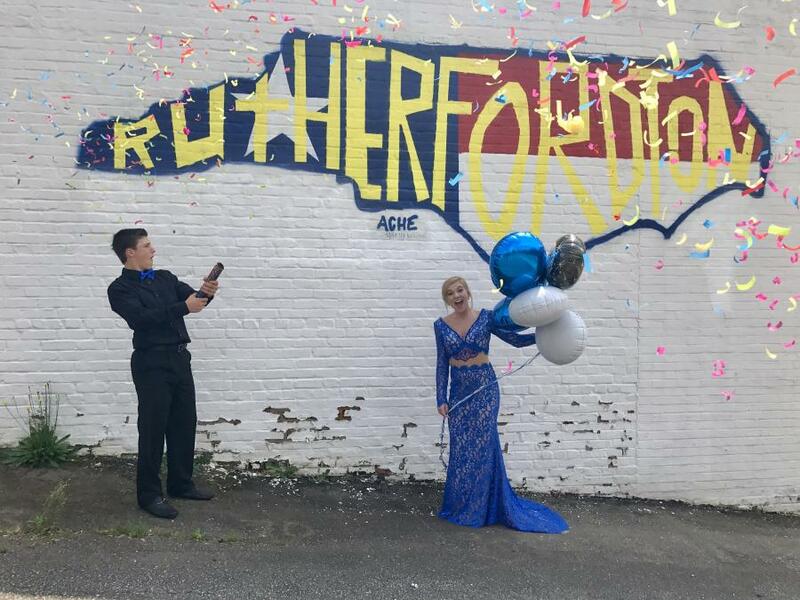 As you head into town on North Washington Street you&apos;ll come across the “Rutherfordton, NC” mural painted on the side of the C&H Wholesale building. Post a photo to your social media account using hashtag #RCMuralsTour to show your friends the cool selfie spot you just found. 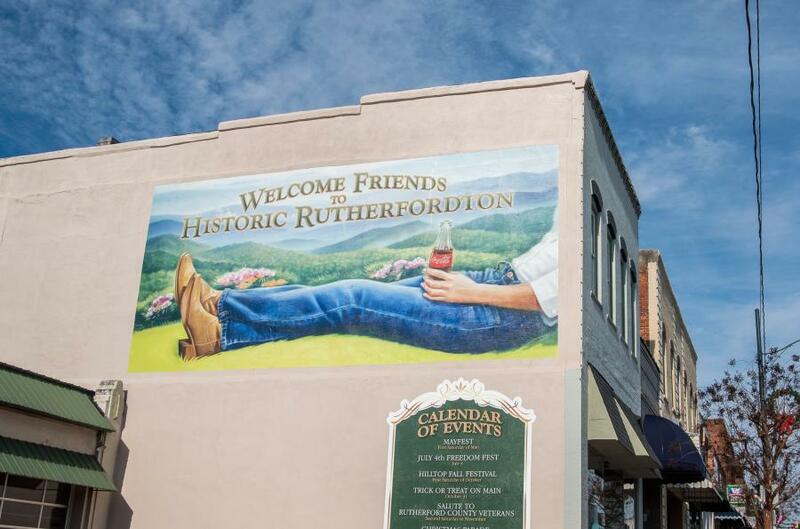 A downtown staple for many years, the Town of Rutherfordton has plans to reinvent the murals on this historic building to highlight the four trails that run through the town. Artwork is being completed by the Rutherford County Visual Arts Center sometime in October 2017. 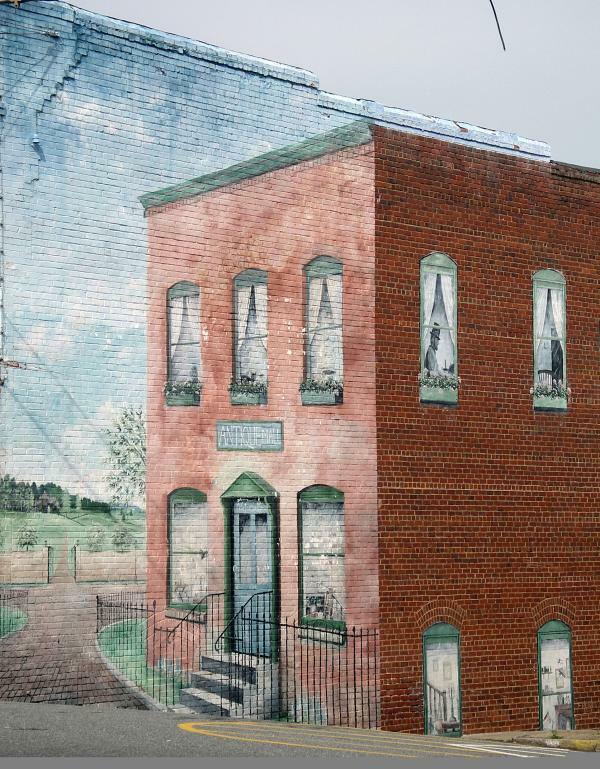 One of Rutherfordton’s first murals painted by Artist Clive Haynes. Head across the street from Main Street Park, to and find Victorian Lace Antique Mall. 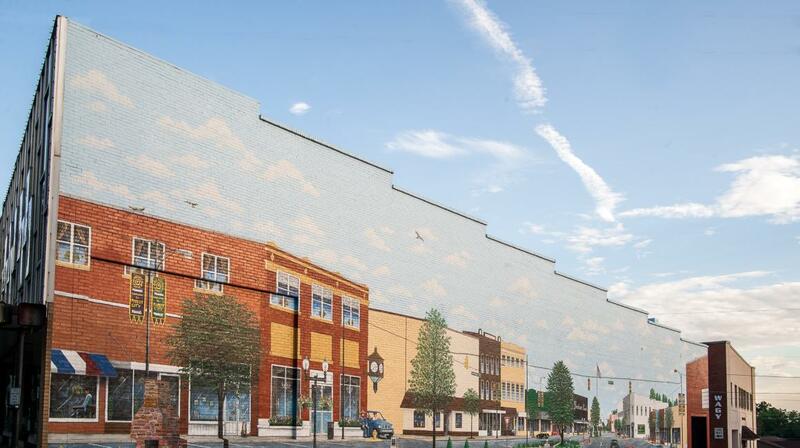 On the side of the building, is one of Rutherfordton’s very first murals, this one depicting a historic look at downtown Rutherfordton. Can you see any famous guests? Upon arriving at Main Street in downtown Rutherfordton, be welcomed by this Coca-Cola artwork featuring the town’s annual events calendar painted below. The artwork was donated to the town courtesy of the Coca-Cola Company. 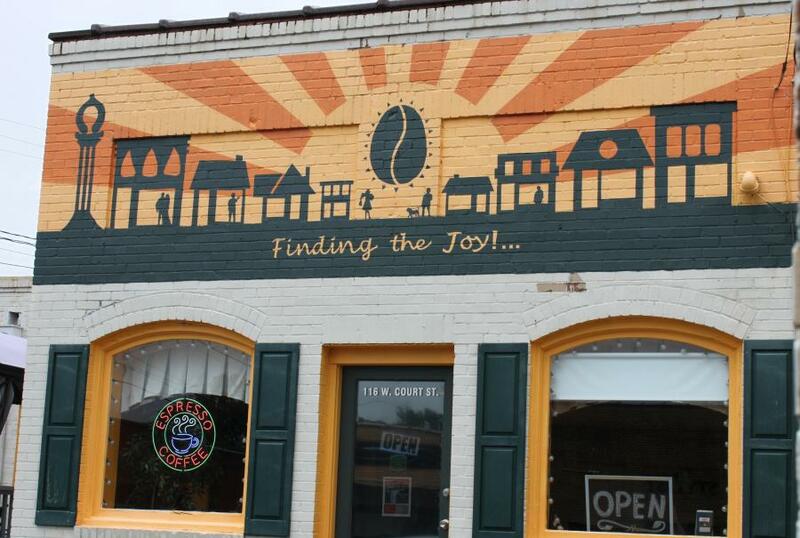 “Finding the Joy!” mural by Owner Enrique Vasquez. From the Coca-Cola mural at the corner of Main Street and W. Court Street, head west on Court Street to admire the sunrise mural on the front of Small Town Coffee Roasters. The vibrant artwork was hand painted by the coffee shop owner himself showcasing his talent for both coffee and art. Bechtler portrait mural by Artist Blake Ferguson. 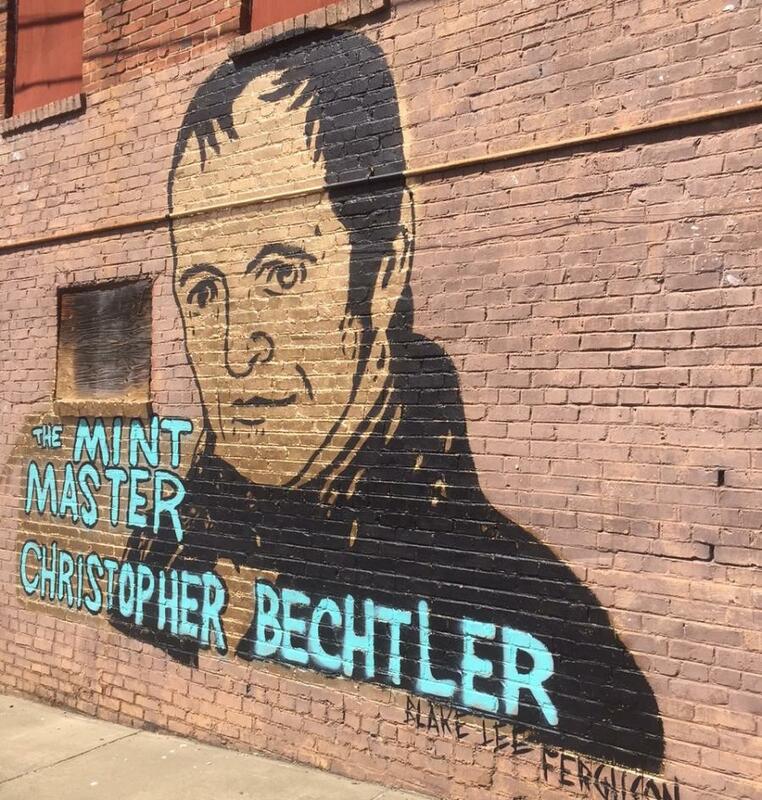 Proudly referred to as “the mint master,” this mural of Christopher Bechtler pays tribute to the man who minted America’s first one-dollar gold coin in Rutherfordton in 1832. A few blocks away, visit his 1838 home now fashioned into a heritage center. 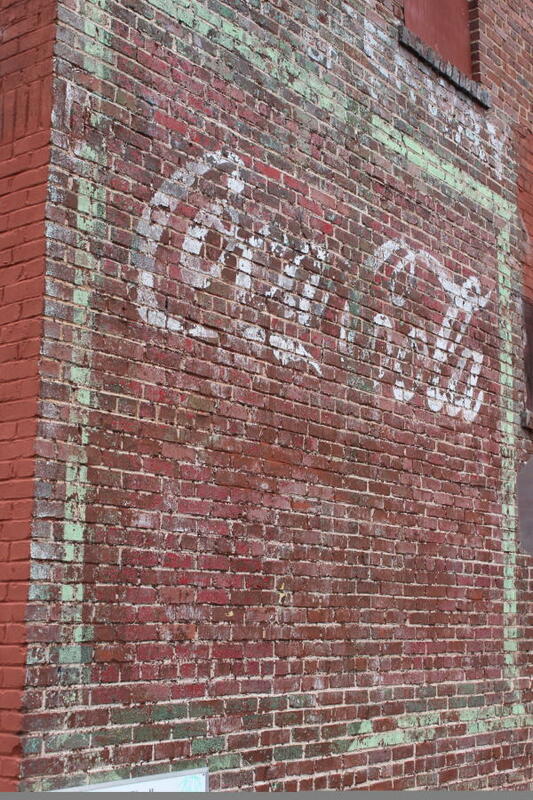 Cool Fact: Look closely to the left of the Bechtler mural to see remnants of a vintage Coca-Cola mural. Vintage Coca-Cola mural artist unknown. 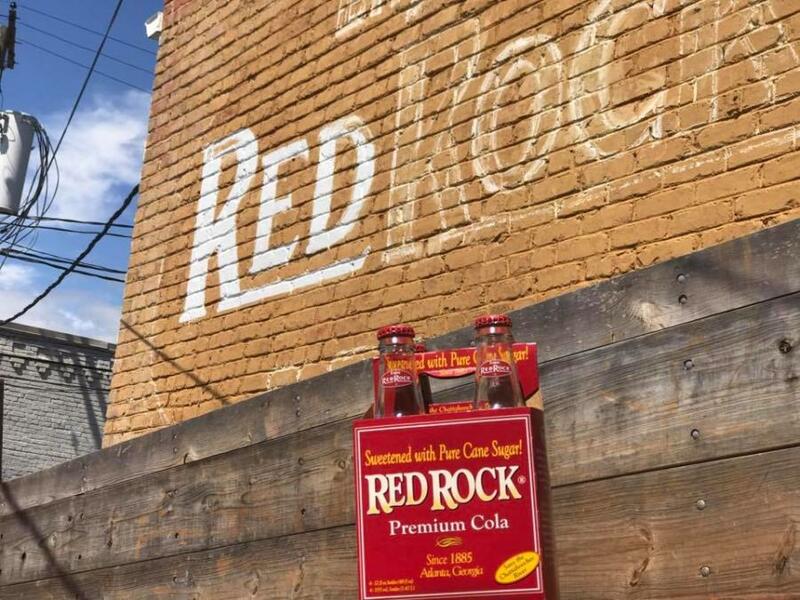 A vintage ghost mural that is currently being restored, pays homage to another refreshing drink, Red Rock Cola. 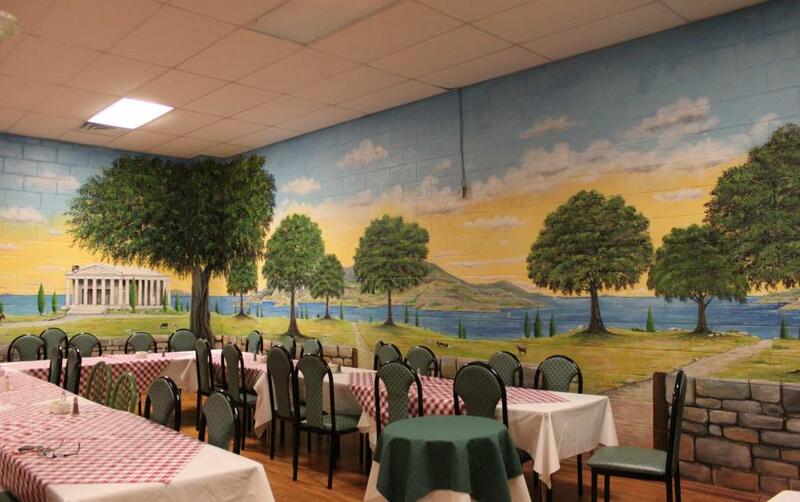 The Olive Tree Restaurant murals were painted by Artists Clive & Irene Haynes. Step inside The Olive Tree Greek restaurant for a view of murals throughout the establishment. Better yet, enjoy them over breakfast, lunch or dinner. The original age of the mural is unknown, but it was donated by Pepsi. Local artist Clive Haynes recently did some touch ups to bring it back to life. Upon leaving Rutherfordton, head east to the eclectic town of Spindale, where local music is the preferred art form. 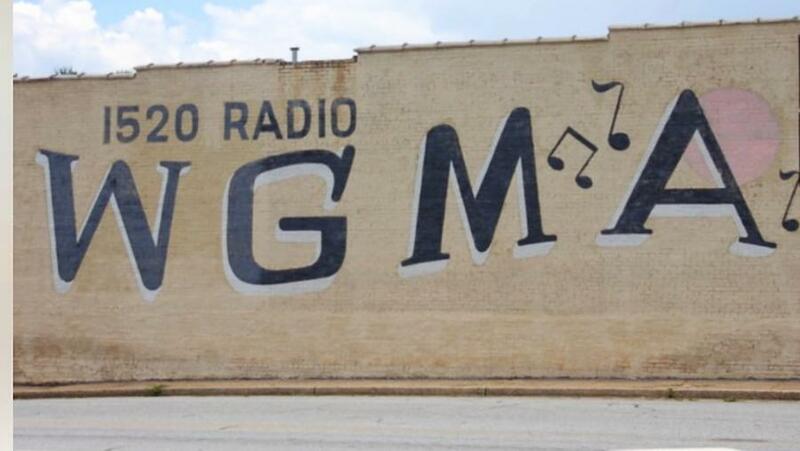 While the radio station is no more, the love of local music in this town remains strong. Follow Main Street through Spindale and into downtown Forest City where you can also park and enjoy the murals by foot in this classic American town. With shops, restaurants, attractions and more, you’ll want to allot plenty of time to spend here. Forest City’s Scavenger Hunt Mural features 70 hidden items. Mural by Clive Haynes. 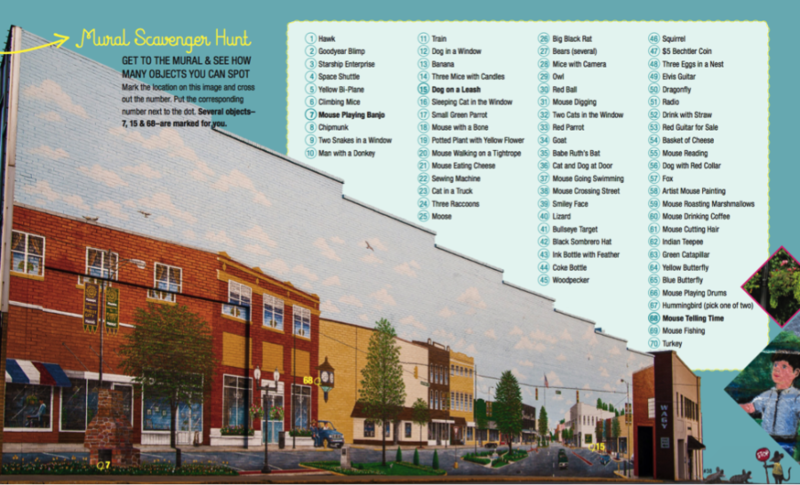 Located at the corner of East Main Street and North Powell Street is likely the most fun mural of all – a scavenger hunt mural! With 70 items hidden within the mural, this vintage artwork covers the entire block. Click here to download a brochure with the full list of items to find. After you’ve worked up an appetite exploring murals, head inside The Fountain at Smith’s Drugs and sit in one of their booths back-dropped by a historic mural of downtown Forest City during the stagecoach days. This Rutherford County Farm Museum mural depicts a time when ‘cotton was king.’ Mural by Clive Haynes. Wrap up your mural tour at the Rutherford County Farm Museum where a mural inside illustrates a time when “cotton was king” and agriculture was the prominent industry in the region.